Both houses saw repeated adjournments with 19 AIADMK and TDP lawmakers being suspended from the Lok Sabha for 4 days. The Rafale debate continued in the Parliament after a heated debate yesterday between the Opposition and the ruling party. 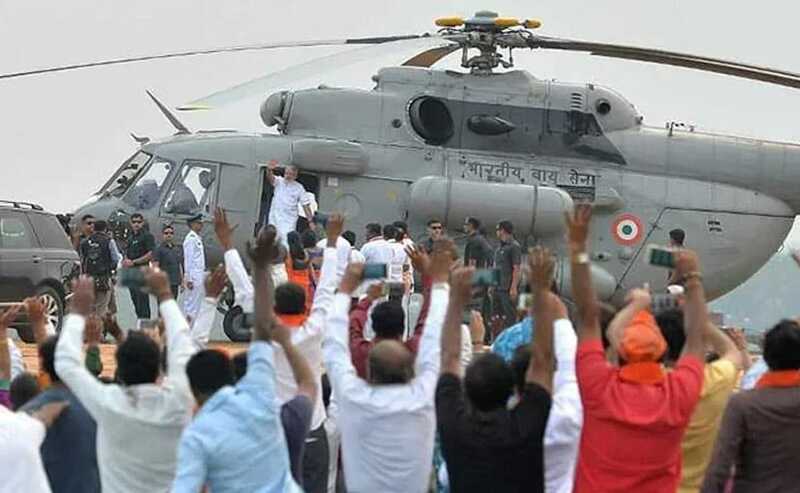 Rahul Gandhi, Congress chief and leader of the Opposition, took shots at Prime Minister Narendra Modi and challenged him for an one-on-one on the Rafale deal. "The PM has no guts to come to the Parliament and give answers on Rafale," the Congress president said, adding that Defence Minister Nirmala Sitharaman was "hiding" behind AIADMK members in the house. The Rajya Sabha will take up the triple talaq bill today for consideration and passing. Both houses saw repeated adjournments with 19 AIADMK and TDP lawmakers being suspended from the Lok Sabha for 4 days. Lok Sabha was then adjourned for the day. Chairman M. Venkaiah Naidu, appealed to the members to "see to it that the House functions" as very few working days are left in the session. The Rajya Sabha functioned smoothly and completed the zero and question hours for the first time in this Winter Session of Parliament. 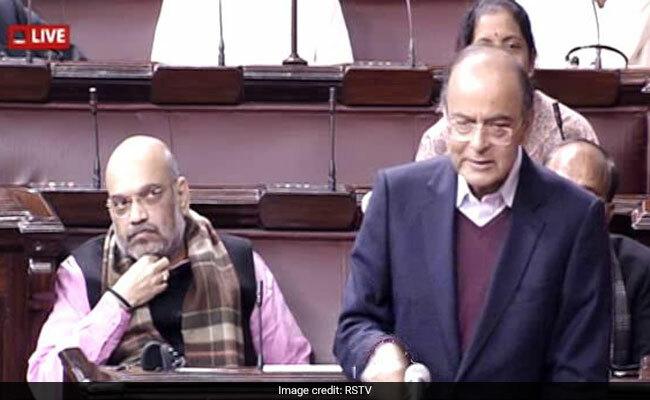 Arun Jaitley speaks in the Rajya Sabha about the Kashmir issue. He attacked the Congress, PDP and National Conference on the issue. "Congress's mistakes hurting Kashmir. It created barriers in the state's growth." he said. Ghulam Nabi Azad speaks on Kashmir in Rajya Sabha. Lok Sabha adjourned again after protests soon after the proceedings resumed at 2pm. Rajya Sabha has been adjourned till 2pm after AIADMK members were suspended for the day for protesting. M Venkaiah Naidu took strong objection to some lawmakers blaming him for not doing enough to bring the House to order for conduct of proceedings, and said he had on several occasions spoken to members to break the deadlock. AIADMK members staged a walkout from Rajya Sabha after they were disallowed from raising the issue of planned construction of Mekedatu dam on Cauvery river in Karnataka. Congress lawmakers walk out of Rajya Sabha. Discussion on natural calamities in various parts of the country, particularly Kerala, Tamil Nadu and Odisha with special reference to cyclones Gaja, Titli etc. 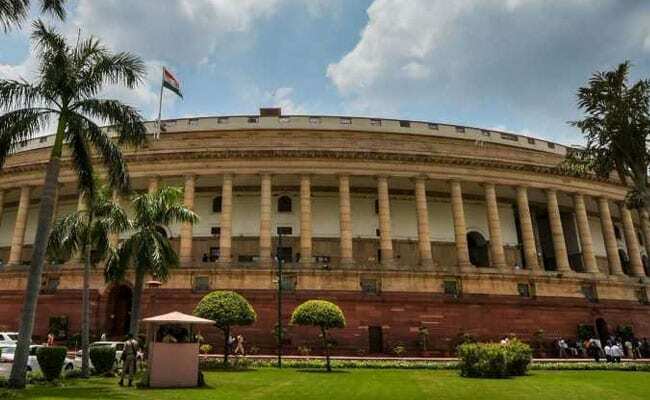 Lok Sabha adjourns till 2 pm again following uproar by AIADMK and TDP members. To Rahul Gandhi's jibe yesterday on his 4 questions, Nirmala Sitharaman said, "A student who fails in the classroom boasts and challenges from outside." She is to speak on the Rafale deal today in the Lok Sabha. 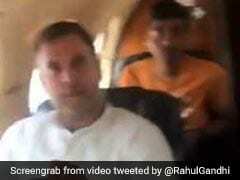 Rahul Gandhi tweeted a jibe at PM Modi saying he has "fled the Parliament." Rajya Sabha begins Question Hour. Lok Sabha adjourned till 12pm amid sloganeering and protests of TDP and AIADMK members over various issues. Asaduddin Owaisi speaks in the Lok Sabha on banned channels. Rajyavardhan Singh Rathore, minister of information and broadcasting answers his question. TDP members started protesting in the Well prompting the speaker Sumitra Mahajan to ask them to go back. Proceedings begin in the Lok Sabha as well as Rajya Sabha amid sloganeering. The Rajya Sabha was adjourned till today after the opposition demanded for a select parliamentary committee for further scrutiny of the bill. The Upper House is to take the bill up for consideration and passing. The Triple Talaq bill was passed by the Lok Sabha last week. The government considered a law on it after the Supreme Court said in August last year that the traditional method of Muslim men instantly divorcing their wives by uttering Talaq thrice was "unconstitutional" and "arbitrary".